Anyone who knows Abby knows how much she loves animals, and that her love has rubbed off on me, so I too, love them. 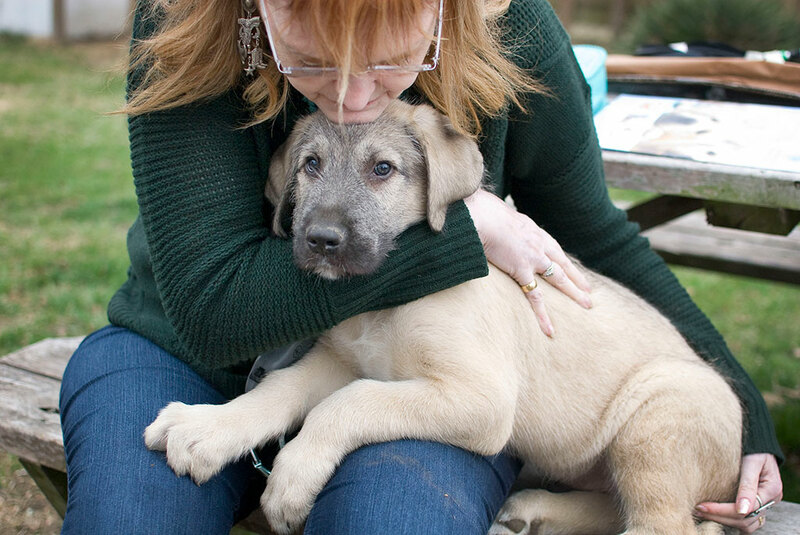 Here Abby is shown just minutes after meeting her new Irish Wolfhound, Hawken. Ladies and gentlemen, may I introduce Barron’s Hawken “Hawk” Rifle Trail. 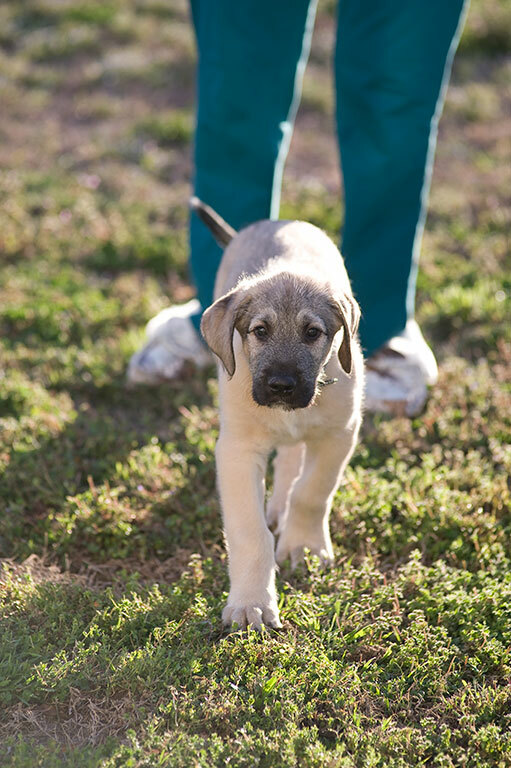 He is an eight week old registered Irish Wolfhound. Abby had wolfhounds, Sugar and Lincoln, many years ago, and has wanted another since she retired two years ago. Those familiar with the breed know that it is the tallest, sometimes going to a 36-inch shoulder height and weighing up to 200 pounds. Hawken walks in the front yard with Abby this morning. Wil Wheaton or his character Wesley Crusher because the dog’s coat is the wheaten. Hawk had an unremarkable six-hour ride home, and seems to be settling into his new life in the clumsy, goofy, happy way that puppies do. I will have more to say about the trip to Rolla later on my teaching blog. 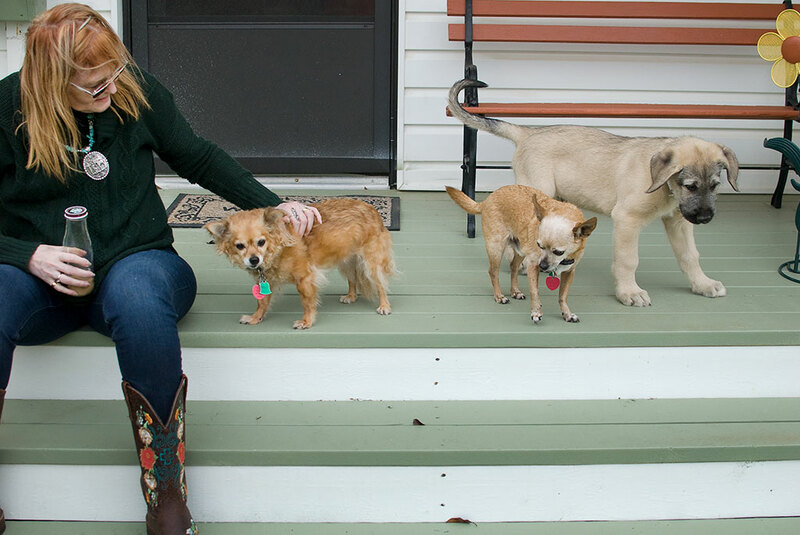 At 26 pounds, Hawken already weighs more than 1.3x the total weight of our Chihuahuas put together, Sierra and Max, shown here meeting the big puppy for the first time. Beautiful dog. Congratulations! He’ll have a great life out on the farm. He looks thoughtful and inquisitive, a great addition to the family. Congrats. Are you a good boy Hawk? Yes you are ohhhh yes you are mwah mwah mwah. Hello, Hawk! I don’t know you, but I love you! Oh! I’m in love! Can’t wait to meet ya, Hawk. Hawk looks very much at home.